« Thangachi’s Corner: What is your background? March 1, 2015 marks the 32nd anniversary of the impassioned speech made by Nadarajah Thangathurai from the dock of a courthouse. 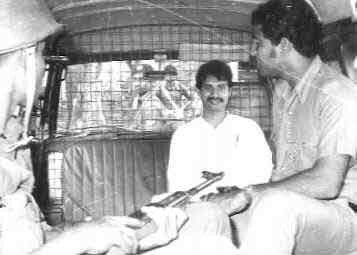 Thangathurai was arrested in 1982, along with Selvarajah Yogachandran, a.k.a. Kuttimani – both remain important figures in the struggle for Tamil Eelam. Thangathurai and Kuttimani were among the second batch of Tamil youth who were tried under Sri Lanka’s draconian Prevention of Terrorism Act (PTA). Modelled after Apartheid South Africa’s Terrorism Act and used by the Apartheid Government to arrest Nelson Mandela and other anti-apartheid militants and activists, the PTA was brought into law by President Jayewardene, with the intention to subdue the strengthening Tamil resistance movement. The PTA still remains in existence today and is now used to arrest anyone who dares to speak out against Sri Lankan state oppression. During their trial, Thangathurai and Kuttimani refused to bargain or plea. Their reasoning for this decision was that they are citizens of the Eelam Tamil nation, the ‘crime’ they were accused of committing happened in Tamil Eelam, and therefore they cannot be arrested by Sri Lankan police nor tried under any Sri Lankan laws. As an act of resistance, they did not respond to the supposed ‘evidence’ presented against them and further refused to participate in their own trial. On February 24th, 1983 they were convicted and sent to the Welikade prison in Colombo. Kuttimani famously asked the judge “I request that I should be hanged in Tamil Eelam…I request that my eyes be donated to some blind person, so that Kuttimani will be able to see through those eyes the reality of Tamil Eelam”. Thangathurai and Kuttimani were amongst the 53 Tamil political prisoners who were killed during the 1983 Sri Lankan state-organized holocaust of Black July. In collaboration with prison officials, they were brutally tortured and murdered. Kuttimani’s torturers gouged out his eyes for the request that he had made. 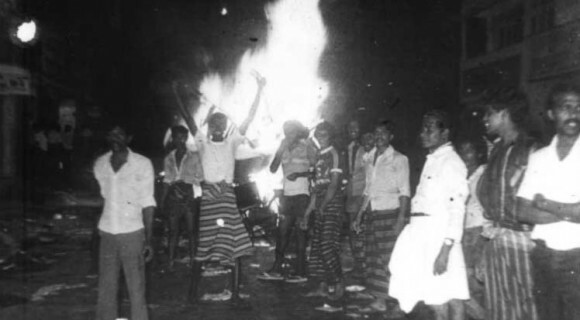 Thangathurai’s tongue was cut off for his fiery speech from the dock of the courthouse on March 1, 1983 seen below. “We have already objected to a Court in Sri Lanka subjecting us to an inquiry. Despite that objection a case has been fabricated against us, and the trial has gone on for nearly four months. Our Senior Counsel, Nadesan Satyendra, has exposed the somersaults of the Sri Lanka police witnesses both by his cross examination and by his concluding submissions. He has also exposed the various acts of torture to which we were subjected at the hands of the Sri Lankan authorities. Our respected Senior Counsel has said that he bows his head in humility in front of us who have been willing to give our lives for the liberation of our people. May I only say that his dedication and sustained effort and the many faceted legal skills that he has employed from the day that he took on the responsibility for this case to this very day is a duty that he has nobly discharged for the Tamil people and is in no way less than what we have done. His skill can be seen in every aspect of this case. His two day address on the question of the admissibility of the statements made in custody served to further the cause of truth and will find a place of honour in the history of our struggle. Tamil women Sathyagrahis marching in Jaffna during the 1961 protest before it was attacked. “When the British government entrusted the fate of the Tamils to a group of Sinhala politicians, the Tamil people did not clamour for freedom for themselves. They did not suspect that they would in course of time be made second class citizens of this country. But some Tamil leaders did perceptively ask for bigger representation for the Tamils in the legislaturei. This was justified by later events when the plantation Tamils were deprived of their franchise ii. What the next 25 years saw was not only the erosion of Tamil rights but also the erosion of the Tamil homeland. For 25 years, the Tamil leaders expressed their protest in Parliament and outside, adopting the principles of ahimsa and satyagraha. But what happened? In 1956 the Tamil leaders sat down to a peaceful protest on Galle Face Green. 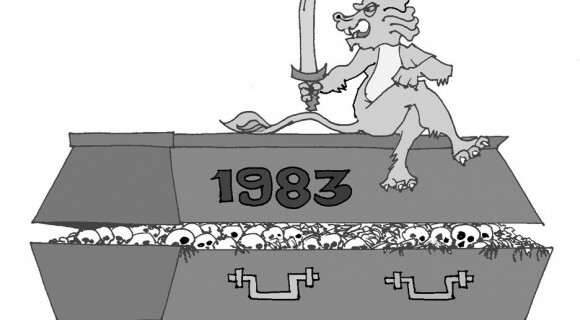 Sinhala thugs were unleashed on them iii. Later, in 1961, when the Tamil leaders and the Tamil people sat in peaceful satyagraha in front of the Jaffna Kacheri, the Sri Lankan army did not fail to react with inhumane violenceiv. In which chapter of your long history of democracy are you going to incorporate these events? Not one, not two, but there have been a continuing series of thuggery and violence inflicted on the Tamil people over a period of 25 years. How many chapters will you need to record this 25 year villainy? 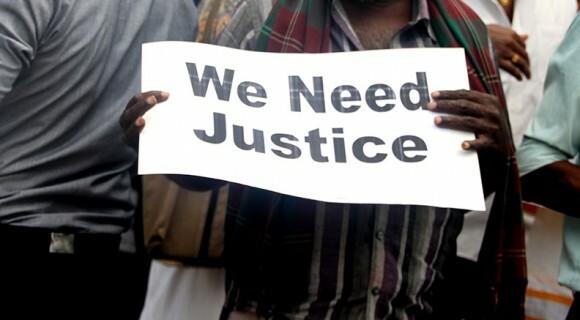 How many Tamils have been robbed of both their lives and their material wealth? There have been Tamil women whose chastity has been offended in the very presence of their family members. Part 3: Is it not ridiculous for a Government that promotes race hatred and race killings to look at us and call us ‘terrorists’? Part 4: Allegations are made that we are asking for separation, that we are trying to divide the country. When were we undivided after all? “Allegations are made that we are asking for separation, that we are trying to divide the country. When were we undivided after all? 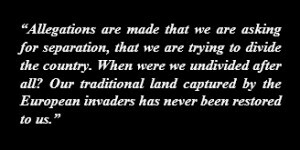 Our traditional land captured by the European invaders has never been restored to us. We have not even mortgaged our land at any time to anyone in the name of one country. 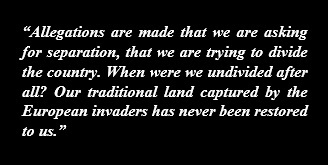 Our land has changed hands off and on under various regimes, and that is what has happened. We have yet to reach a stage when we can have our land for ourselves. Part 5: Had you endorsed our basic human rights at the very beginning, this situation would not have arisen. “There is no testament in the world that declares that a people who fight to recover their own rights or work for their self-determination are guilty of sedition or terrorism. Had you endorsed our basic human rights at the very beginning, this situation would not have arisen. 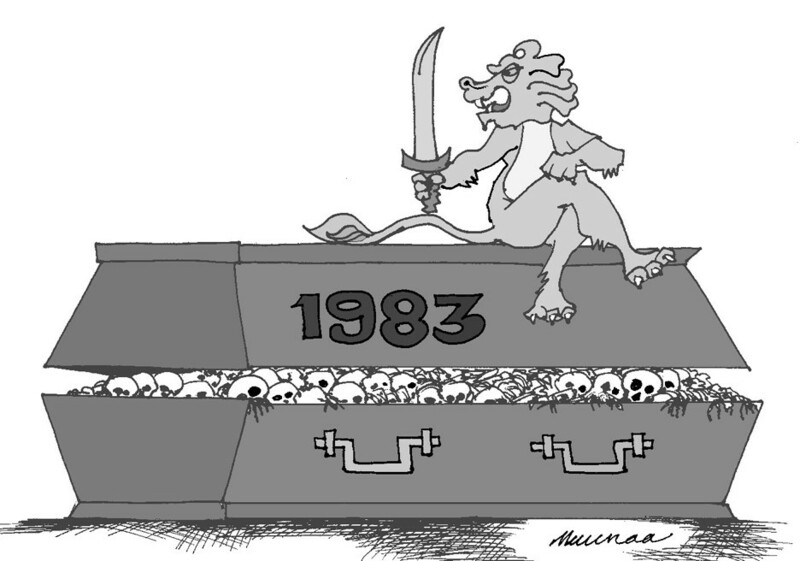 You had not only not recognized our rights but for the purpose of clinging on to political seats of power, you had been injecting into the poor innocent Sinhalese people hate and venom over the past 35 years. That not all the Sinhala people have fallen victims to your racist poison has been proved by the fact that many of them during the time of race riots, have time and again rescued Tamils from armed thugs and complete extermination. It has been customary for every opposition party in Sri Lanka that wants to come to power to obstruct any settlement of the Tamil question and rouse the Sinhala people for that purposeviii. Part 6: While holding out the bogus promise of solving the problems of the Tamil people, you have spent all the time in trying to blunt Tamil resistance. “For the past quarter century, the ruling governments have like parrots kept on repeating the same threadbare statements ‘we will solve the Tamil question’. Whether we accept your solutions or not, what honest attempts have been made to solve the problems of the Tamils? While holding out the bogus promise of solving the problems of the Tamil people, you have spent all your time in trying to blunt Tamil resistance. What have the Tamil people asked you? Not economic benefits, not employment opportunities. That no such benefits could come from you is a fact well known to them. Even if you do come forward to grant these benefits, what guarantee can you give the Tamils that they could live with self-respect in this island in the future? Whatever you give them without securing that self-respect will be alien to them. The Deputy Solicitor General in the course of his cross examination turned to Mr. Yogachandran and asked him: ‘Do you intend to use this court of law as a platform?’. “Of what use are platforms to us? We did not ask anybody to provide us platforms. It was you who brought us to this Court and heaped accusations on us. When you not only throw lies at us but also try to make out that we are liars, we simply came out with the truth. Part 7: We are not lovers of violence or victims of mental disorders. “We are not lovers of violence nor victims of mental disorders. We are honest fighters belonging to an organization that is struggling to liberate a people. Part 8: There is nothing that prevents two neighbouring nations living in co-operation. “You must not run away with the thought that our sole objective is to establish Tamil Eelam. 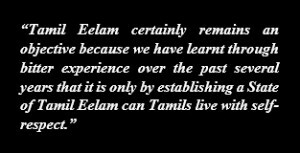 Tamil Eelam certainly remains an objective because we have learnt through bitter experience over the past several years that it is only by establishing a State of Tamil Eelam can Tamils live with self-respect. But our vision is broader than that. Our vision is global. Wherever there is oppression, wherever there is violation of human dignity, whether in Africa or in Latin America, we are prepared to link hands with the oppressed and the underdog. When our vision is so global how can it fail to take into account the future good of the Sinhala people? May I mention this. We will not stop at raising our voices on behalf of those people. There is nothing that prevents two neighbouring nations living in co-operation. Even nations with differing policies get together for common economic good and for the purpose of common security. Does that mean that those nations give up their distinctive characteristics or sovereignty? Part 9: Do you accept as correct and justified, the various acts of oppression that the Tamil people have suffered? “I want to ask this question from my Sinhala friends. Do you accept as correct and justified the various acts of oppression that the Tamil people have suffered until now not only in our land but in various parts of your land as a result of various acts of thuggery and terrorism? Do you also consider wrong our attempt to free ourselves from the inhumane oppression of your government? Or do you consider that this present eyewash in the form of a trial conducted under special laws an act of fairness to people like us who are fighting for a noble ideal, the ideal of human freedom? Or does it mean that you do not care what happens because the victims are Tamils? If that is so, our sympathies are with you. Believe me, our freedom is an assured fact and will come. Once that happens, your law books and terrorist laws cannot touch us. Thereafter you will be the sole ‘beneficiaries’ of the very laws that oppress us now. Will you urge your government to stop the injustice against us and acknowledge our sovereignty? I leave it to you to decide whether you will show the world how committed you are to justice. Though belonging to a different nation, as fellow humans living in the same island we have participated in the inquiry hoping for your understanding. Today we have made our position quite clear. If the understanding that flows from this prompts you in the future to raise your voice on our behalf, our hearts will be filled with satisfaction. Part 10: We will not flinch from embracing death or spending the rest of our lives in jail, content as we are that we have done our duty. “Through this case we have made our real position known to the world and in particular to the peoples of this island. This is the joyous feeling that is uppermost in our minds… Even a hundred fabricated cases against us and all the slanders heaped on us will not bother us. It is we who will win through this kind action of yours. The consequences of the verdict of this Court will not touch us, content as we are that we have done our duty. We will not flinch from embracing death or spending the rest of our lives in jail, content as we are that we have done our duty. All these are merely commonplace incidents in the history of a nation’s struggle for freedom. We were fully conscious of what we were doing. Hence there is no question of disappointment. i50-50 representation or power-sharing between all minorities and the Sinhalese was asked for to avoid majoritarian politics. This was denied. iiImmediately following independence, the government of Ceylon passed two laws: The Ceylon Citizenship Act (1948) and the Indian and Pakistani Residents Citizenship Bill (1949) which disenfranchised and denied citizenship to 1 million Tamils of Indian origin who were brought to Ceylon by the British as indentured workers. This also reduced the Tamil voting power from 33% to 20%. The passing of these laws created a split in the Tamil political leadership leading to the call for federalism and the creation of the Federal Party, led by Thanthai Chelvanayakam. The Federal Party went through several phases of evolution eventually becoming the TULF, passing the Vaddukodai Resolution and calling for a separate, independent state of Tamil Eelam. iiiAfter the Sinhala Only Act was debated in parliament, members of the Federal Party held a sit-in on Galle Face Green. They were attacked by Sinhala ‘thugs’ and 150 Tamils were killed. The police were instructed not to intervene, so they, along with Sinhala Members of Parliament, watched on as Federal Party MPs and Tamils protesters were violently attacked. ivOn the 18th of April, in a well co-ordinated operation, the army violently attacked the Tamil protesters, including MPs. 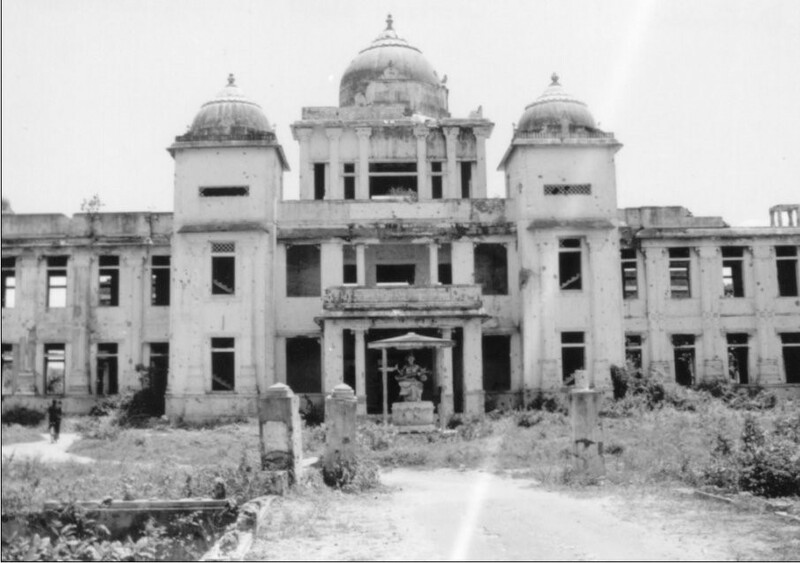 vIn 1981, the Jaffna library was torched and burned to the ground by Sri Lankan security forces. At the time, the Jaffna library carried over 95, 000 books, rare manuscripts and ancient cultural historical Tamil artifacts. This is an act of genocide because it was meant to destroy Tamil history, culture and identity. Notably, the Nazi’s committed similar acts during the holocaust. viReference to the overwhelming Tamil voter turnout in support of the TULF based on their election platform- an independent state. 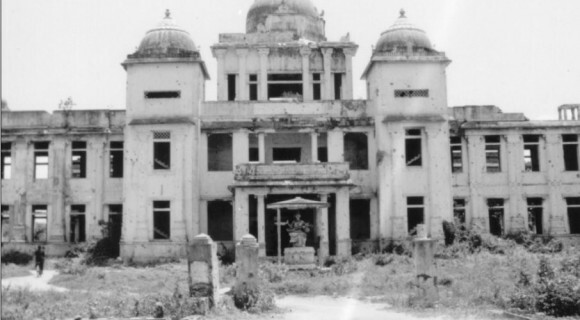 viiThe Jaffna Library was destroyed during the Sri Lankan state orchestrated anti-Tamil pogrom in Jaffna between May/ June 1981. 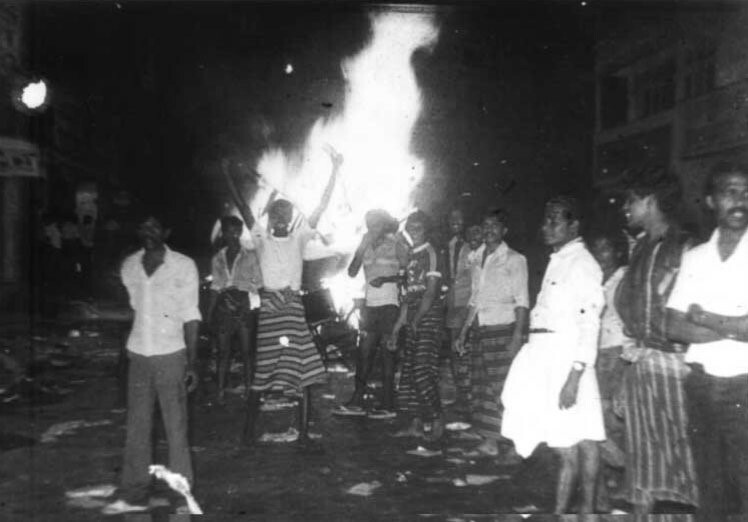 The home of the MP of Jaffna was burned, Tamil shops destroyed and there was widespread violence against Tamils throughout the island. viiiThis was even the case in the most recent election where both Presidential candidates tried to garner support based on how anti-Tamil they were (ie who played a greater part in orchestrating the Mullivaikaal genocide, who will ‘protect’ Sri Lanka from a UN investigation, and who will ensure that the North East remains under military occupation) http://tamilguardian.com/article.asp?articleid=13223. 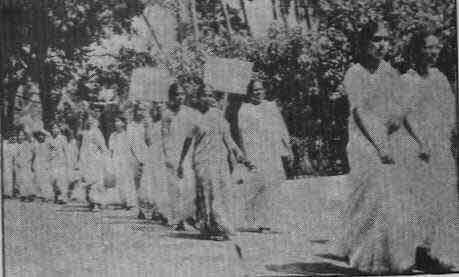 ixWithin one month after President Jayewardene was elected in 1977, another state-orchestrated anti-Tamil pogrom broke out. It started in Jaffna and spread throughout the country, lasting for over 2 weeks. Tamils living outside of the North East, especially the plantation Tamils in the Hill Country, fled to the Tamil homeland. In these two weeks alone, approximately 50, 000 Tamils migrated to the North. xThe call for demilitarization is even more relevant today- the army occupation of Eelam is so acute that the ratio of civilian to soldier reaches as high as 3:1. 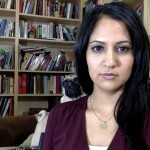 Jessica Chandrashekar is a PhD candidate at York University. 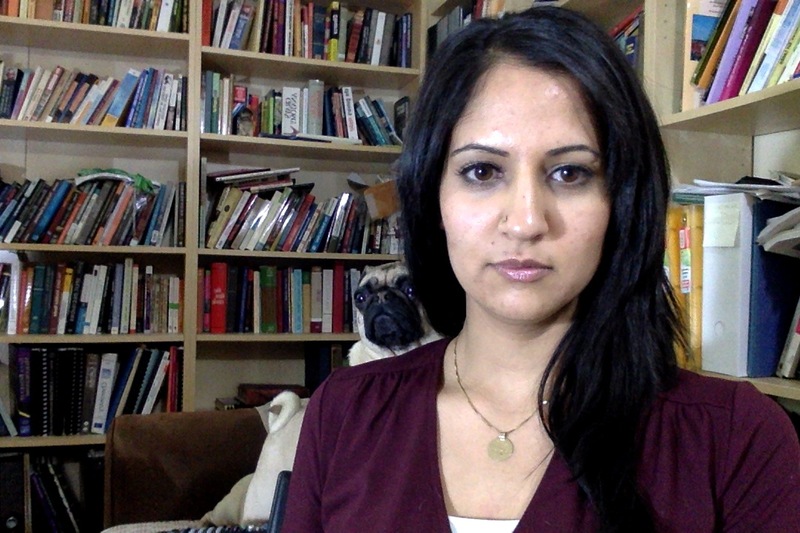 Her dissertation is an anti-colonial feminist analysis of the Tamil genocide by Sri Lanka. This entry was posted on Sunday, March 1st, 2015 at 1:23 am	and is filed under News, Speak Out. You can follow any responses to this entry through the RSS 2.0 feed. You can leave a response, or trackback from your own site.